Arizona Furnishings is widely recognized as the industry leader in today's media center design. 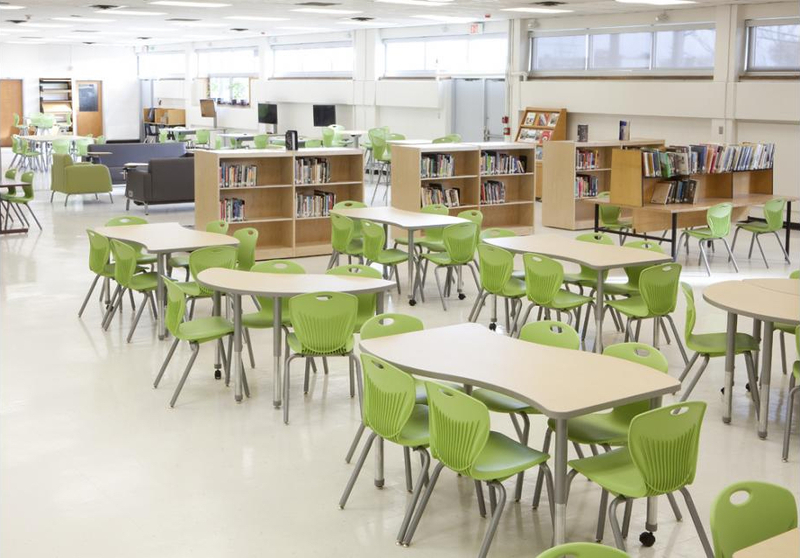 We have done the complete furnishings package for libraries as large as 30,000 sq. feet. 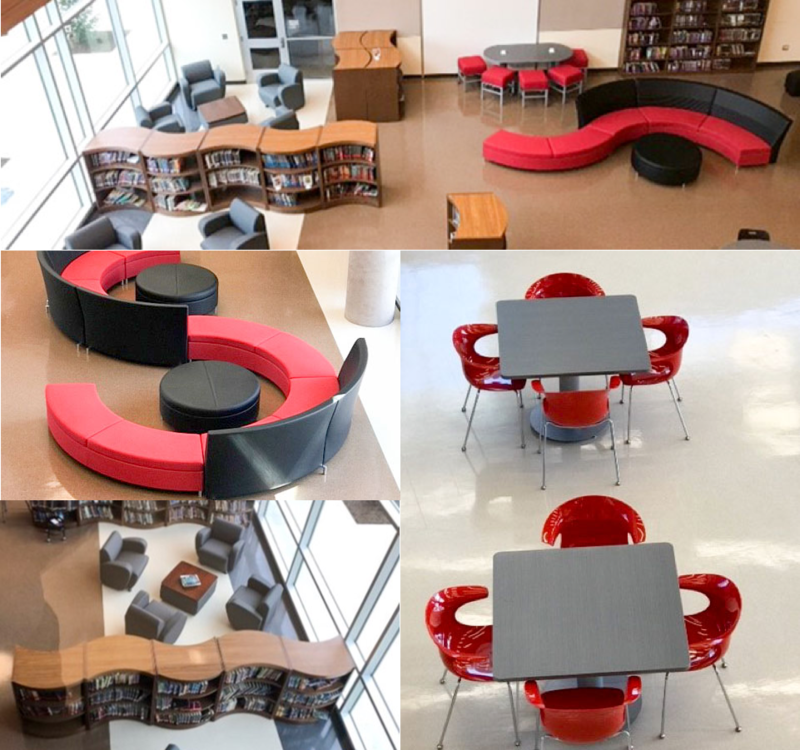 Our public library team has a complete understanding of the changing needs of today's community spaces. We are the true subject matter experts. Your dedicated Arizona Furnishings customer service representative will be your primary point of contact. You will never have to contact an 800 number or out of state supplier for customer service, we do it for you in house and local. Arizona Furnishings "The Safe Choice." As the state’s leading commercial furnishings contractor, Arizona Furnishings has been here for you since 1996. As the economy begins to recover choose Arizona Furnishings, the safe local choice. Let’s keep our dollars in Arizona. All products for all customers available at state and nationally discounted levels. This is the best pricing available and it's all on contract. Arizona Furnishings continues to invest in its people and their knowledge of the best products in today’s market. We offer the products standardized in nearly every district in the state. We have knowledge that is not shared by any other furnishings vendor. We will share this expertise to guide you and your staff through a modernization process. Arizona Furnishings has established themselves as the dominant player in the education market. This has been accomplished through exceeding our customers expectations at every turn. Whether it be through our stocking program, furniture on demand, build and hold programs, loaner furniture, or our dedicated staffing. 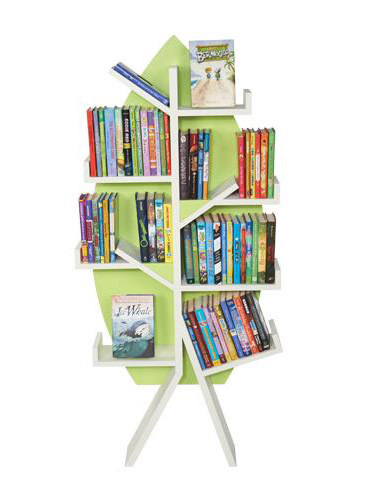 Arizona Furnishings has furnished over 40 public libraries ranging from Douglas, AZ to Billings, MT and everywhere in between. We will help you design and space plan the entire facility. Take the opportunity to view our gallery and you may just find the inspiration for your next project. We represent only the most durable, forward thinking, and reliable manufacturers. They are all on the contract of your choosing. Take the opportunity to view our gallery and you may just find the inspiration for your next project. Our dedicated year round installation teams are fully trained installers, driving our brand new fleet of trucks loaded with all the tools to complete your project. We have crews as large as 20 technicians ensuring the fastest and most accurate complete installation services available today. We have done the complete FF&E packages on as many as seven schools within a week, all at the same time. Trust Arizona Furnishings with your next project, we do it faster and better.